Rare Philippines Vice President Rocky Sanchez Tirona (left) is joined on stage by LMP Mayor Maria Fe Brondial (middle) of Socorro, Oriental Mindoro, and DA-BFAR Undersecretary for Fisheries Eduardo Gongona (right). 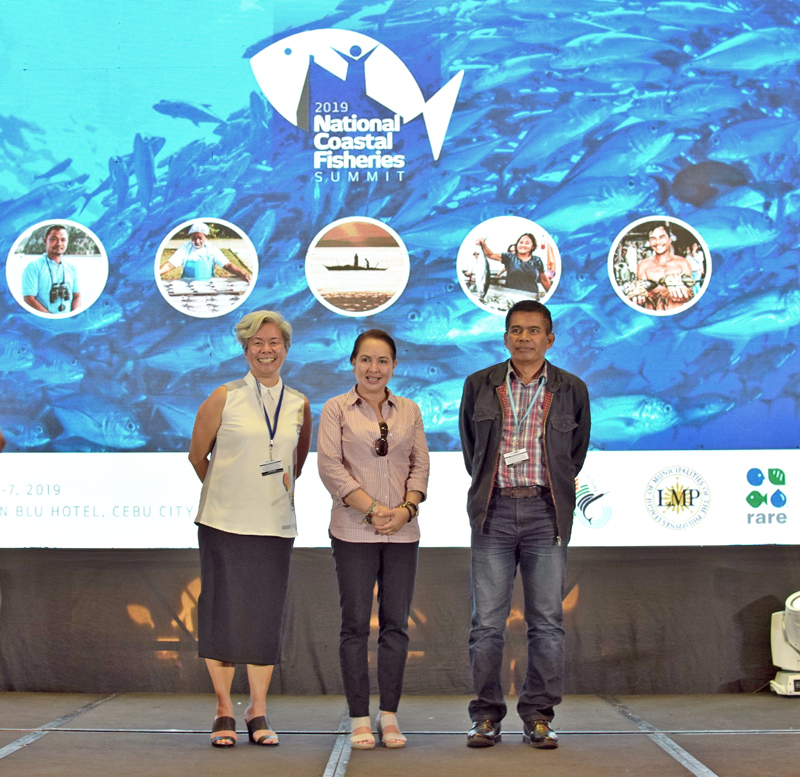 On March 6th and 7th, more than 300 Filipino mayors, along with 200 fisheries officers and representatives from universities and NGOs from across the Philippines, gathered in Cebu City for the 2019 National Coastal Fisheries Summit. Convened by the Philippines’ Department of Agriculture-Bureau of Fisheries and Aquatic Resources (DA-BFAR) and the League of Municipalities of the Philippines (LMP), and supported by Rare, the summit aimed to strengthen fisheries governance to benefit the nation’s 1.6 million small-scale fishers. The summit was the first one in 10 years to bring coastal mayors together. Throughout the summit, mayors, government officials, NGO staff and others discussed a wide range of issues affecting coastal fisheries — sustainably managing resources, collecting data, safeguarding rights, stopping illegal fishing, mobilizing funds for coastal fisheries, and building the climate resilience of coastal communities. “Municipal fishers are among the least privileged in the country, and therefore, they must be given the proper attention they deserve from the government,” said Mayor Maria Fe Brondial of Socorro, Oriental Mindoro, who also serves as President of the LMP. Hear a mayor’s perspective on the SummiT. Participants of the global Fish Forever Summit. Hub (def): The effective center of an activity, region, or network. 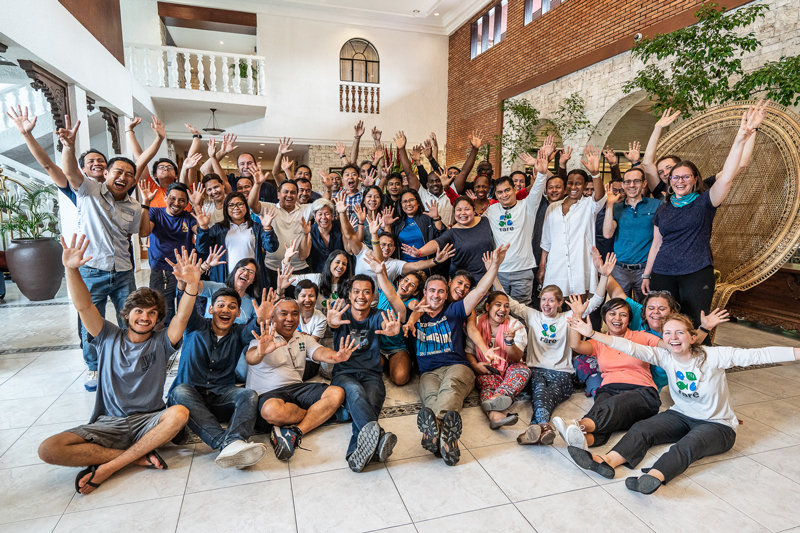 In February 2019, at a global summit in Cebu for Fish Forever’s 40+ program implementation and training managers from Mozambique, Philippines, Indonesia, Brazil, the Mesoamerican Reef region, and Myanmar, the program launched its new capacity building and networking nucleus. “The Hub,” which draws on central and country resources and is based in Rare Philippines, is an innovative service and leadership center designed to support the successful implementation of Fish Forever at scale across multiple geographies. The Hub builds on the pioneering results from the program’s first phase. Working closely with country teams, Fish Forever’s Science and Technology team based in Arlington, and Rare’s Center for Behavior & the Environment (BE.Center), it will identify and integrate behavioral insights, best practices, and lessons learned from country teams into the program’s resources. The Hub represents a massive global effort to translate the Fish Forever strategy into global resources for staff and stakeholders that are responsive to the reality of on-the-ground implementation. The Summit provided us an incredible opportunity to share our country-specific experiences and strengthen our global network of implementers. Resources in development include a globally-aligned competency framework and curriculum; a behavior adoption campaign strategy that celebrates responsible fishers and the critical behaviors for sustainable fishing; and revised tools that support core program activities, including building local management capacity, fisher registration, data collection through OurFish, network reserve design, and participation in fisheries management. The Summit itself employed state-of-the-art design-thinking approaches to introduce participants to Fish Forever’s core concepts. An emo-demo (emotional demonstration) served to enhance staff’s empathy with stakeholders. Participatory photography (a participatory action research method promulgated by Rare’s BE.Center) helped Rare’s Program Implementation Managers draw deeper insight into the challenges the communities face and their roles with communities. “It’s exhilarating to see the power of connecting diverse expertise and skills to create resources that bridge the gap between traditional science-based resources and communities’ needs for practical decision-making tools. The Hub really symbolizes what’s at the heart of Fish Forever—a desire to globally connect small-scale fishing communities around the world, empower them with the knowledge and tools to steward their coastal waters, and elevate the sector in the eyes of the national authorities.” Claudia Quintanilla, Rare Director of Capacity Development. Stay up to date on Fish Forever’s progress. 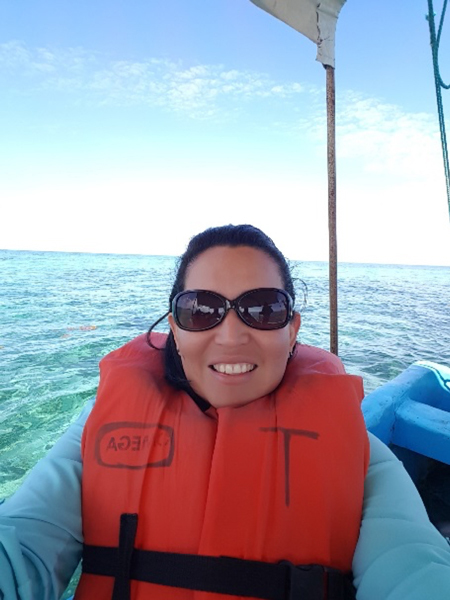 We sat down with Diana Vasquez, the new Director of Fish Forever in the Mesoamerican Reef, to hear about the incredible momentum building for coastal fisheries in the MAR region. As the former Executive Director of the Center for Marine Studies (CEM), a local Honduran NGO and Fish Forever partner, and now Director of Fish Forever in the Mesoamerican Reef region, you bring an important local perspective to the program. How does your work at CEM translate to the MAR? I developed a great deal of experience as CEM’s Executive Director for the last eight years. It’s an extraordinary and impactful organization that helped me to understand that since the marine resources, communities, and people of the MAR are connected, the related problems and solutions must also be connected. I saw in Rare the opportunity to scale these local solutions to the national and regional levels needed to face the MAR’s challenges. Rare has innovative approaches and tools that add value to the learning and vision for this eco-region. These tools, put in the hands of the right people at the local level, are a powerful catalyst that can accelerate local progress, which is what’s required to address the scale of the problem. Fish Forever in the MAR has created the region’s first network of coastal municipal leaders. Tell us about this. In Honduras, municipalities play a key role in local governance, development and resource management. They are formally organized into “mancomunidades”— platforms that group clusters of municipalities. We were inspired by the success of the Philippines’ mayors’ networks and wanted to transplant the idea, replicate it in the MAR using these platforms. With CEM, we created a first-of-its-kind mayors’ network, driving commitments from municipal leaders to prioritize the SSF sector in their development strategies and support community-based fisheries management. This network has now grown to encompass 21 out of the 22 coastal municipalities in Honduras and one of the two coastal municipalities in Guatemala’s Caribbean coast. And this strategy has paid off big time. It’s driven additional mayors to commit to creating new no-take reserves and continue prioritizing the sector. We recently celebrated a big win when the municipalities of El Porvenir and San Francisco embedded the Fish Forever strategy into their municipal development plans and allocated municipal funds to achieve these shared aims. This is an excellent example of how a local official’s commitment can quickly translate into political and financial support for community-based fisheries management. Our next step is replicating this bright spot across Honduras and continue looking for pathways to do the same across the Mesoamerican Reef. In five years, with all of this momentum, what do you believe successful coastal fisheries management looks like in the MAR? In addition to being a collaborative and aligned process? Well, the dream would be for it to resemble the Fish Forever vision closely. We want empowered and resilient fishing communities effectively managing their resources and using robust data to guide their decision making. We want networks of managed access with reserve areas grounded in science and regional networks of people— mayors, fishers, CSOs—adopting more sustainable behaviors related to fishing. And of course, we want local and national governments recognizing that small-scale fisheries are everything but small and prioritizing them in their development agendas and budget allocations as a result. And last but not least, we want creative funding mechanisms that sustain the system into the future. As you work towards that vision, what are the big pieces of work that you are excited about now? There’s so much to be excited about. We’re thrilled to be launching a regional Fish Forever campaign in the MAR to strengthen our work. We are also eager to ramp up our efforts in Guatemala. We will be working with Fundaeco, our main in-country partner, and with the Fisheries Department to design a fisher registration system and start implementing Fish Forever elements. We anticipate big wins for Fish Forever in this geography as we have active partners and lots of bright spots to build on. Also, we’re in the process of developing a mayors’ summit in Honduras like the one that just happened in the Philippines. So much to look forward to, so, stay tuned! Watch the MAR Bright Spots video series, produced in partnership with The Summit Foundation. Nowhere in the world is as dependent on healthy fisheries as the Asian Pacific. More than eight in ten of the world’s families reliant on fishing for livelihoods live here. The coral reefs, mangrove forests, and other coastal ecosystems provide food and economic security for coastal communities across the Philippines, Indonesia, Palau, the Federated States of Micronesia, and the Marshall Islands. But climate change is taking its toll. The warming oceans are degrading the health of these essential ecosystems, which also protect against the symptoms of climate change—increasing waves, storms, and floods, among many others. Recognizing how dependent their populations are on healthy coastal ecosystems, and the risks climate change poses, these nations have made adaptation to climate change and a resilient coastal fisheries sector a top priority. In the face of this growing threat, Germany’s International Climate Initiative is supporting Rare, together with the FAO, Micronesia Trust Fund and the Global Island Partnership, in empowering vulnerable, fisheries-dependent communities in these five countries across Asia Pacific to adapt to climate change. Proven behavior adoption measures and training will strengthen the human, technical and institutional capacity needed from the local to the national level to reduce risks to the small-scale fisheries sector, build resilience, and secure food and livelihoods. Working in 36 municipalities, Rare will train local leaders across the five countries in behavior change methods to catalyze adoption of sustainable fishing practices, and empower coastal fishing communities to incorporate Ecosystem-based Adaptation (EbA) measures into their management plans; on the latter, climate change vulnerability analyses will provide recommendations for these local management plans and policies. Such training will ensure that knowledge and capacity remain in the targeted communities once the project ends. The project will also reach new communities through its social marketing and behavior adoption campaigns. 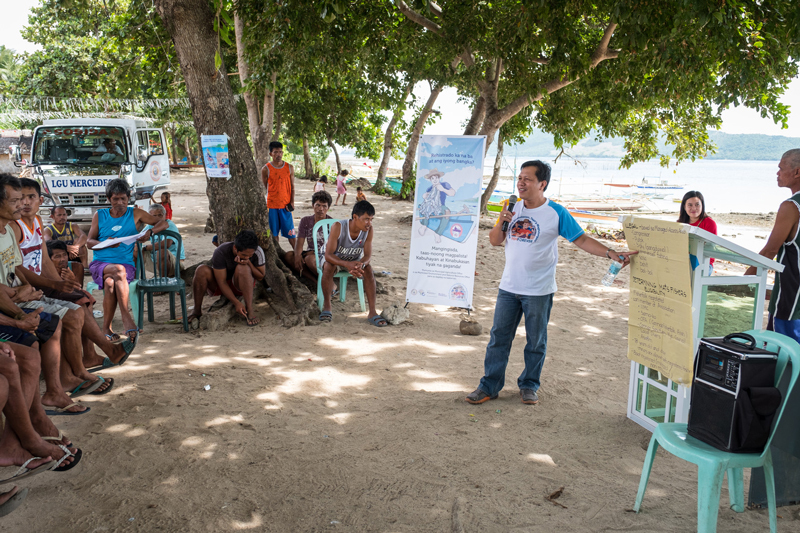 Sharing these elements with other communities will advance a movement of climate-conscious fisheries management that makes its way from community-based management into national climate and development strategies and plans. Rare endeavors to build on the promising results Fish Forever has delivered in the Asian Pacific—wherein data found that fish populations either remained stable or increased at 97 percent of sites in the Philippines and Indonesia following the program’s implementation. With the expertise of the implementing partners, the outputs of the project will be anchored into national plans and scaled through national, regional and global working groups. The project is part of Germany’s International Climate Initiative (IKI) of the Federal Ministry for the Environment, Nature Conservation and Nuclear Safety (BMU), launched in 2008 based on a decision by the German Bundestag. SUBSCRIBE TO OUR NEWSLETTER TO FOLLOW OUR PROGRESS. By May 2019, Rare Brazil will have finalized Fish Forever campaigns in Brazil’s northern states of Pará, Piauí, Maranhão, and Pernambuco. Campaigns in Pará are focused on improving local management of five of the state’s 12 extractive reserve areas (RESEX), and supporting the development of a coastal reserve network to conserve mud crab. Those in Pernambuco are focused on developing two protected areas, ultimately for RESEX designation, and securing the relevant supporting data and community and government buy-in for this particular level of protection. Campaigns in Piauí and Maranhão will focus on engaging new coastal communities in fisheries management and serve as examples for adopting sustainable management strategies in the new Arapiranga-Tromai RESEX recently created by the government to protect a broad swath of mangrove forests and estuarine areas. Inclusion of MA+R in Southeast Sulawesi’s Mid-Term Development plan: Managed Access with Reserves is now explicitly incorporated into the South East Sulawesi Province’s Mid Term Development Plan for 2018-2023. As a consequence, the provincial government has allocated approximately $180,000 to small-scale fisheries management; notably managed access and reserve development. As mentioned in Update #16, signing a joint work plan in December 2018 influenced other government agencies in the province, our implementing partners, to allocate significant budget to MA+R management in 11 Districts, one National Park, and one Nature Conservation Agency. From 2019 to 2021, the indicative financial contributions of all 14 partners will be approximately $500,000, which complements Rare’s program investment in the province. In addition, other related government agencies represented on the SE Sulawesi MA+R Working Group have also aligned their strategic plans with Fish Forever. While MA+R is not explicitly mentioned in these plans, recognition of small-scale fisheries management with communities is forefront. Our partners have prioritized their management within the 22 Areas of Interest in South East Sulawesi where managed access for fisheries is being developed. Training our partners: In late January, over the course of five days, Rare trained over 40 implementing partners from 11 districts across the province in critical elements of the Fish Forever approach, including establishing managed access with reserve areas, social and fishery data collection, biophysical monitoring, and mobile technology application (registering fishers, and using OurFish with buyers). Ongoing progress in partnering with the provincial government: The Southeast Sulawesi Managed Access with Reserves (MA+R) Working Group visited a Fish Forever alumni site in Kolono Bay to understand how Rare helped the Bay’s five villages establish MA+R. Following this site visit, Rare and the Working Group conducted joint work planning to evaluate achievements and progress in the last two years and identify areas for improvement. Rare welcomed a €1 million grant from the Dutch Postcode Lottery to support Fish Forever in Indonesia. The grant will support Rare’s work in Indonesia’s Southeast Sulawesi province to empower fishers with legal rights and ensure their participation in the management of local marine resources. This project will specifically focus on elevating women’s role in the management and decision-making of their fishery. To stay up-to-date on all things Fish Forever, visit the new and improved Fish Forever general and country pages, https://www.rare.org/program/fish-forever/, or subscribe to these Fish Forever Progress Updates. This study assesses the effects of spearfishing on the grazing behavior of two key Caribbean herbivorous reef fish species: the stoplight parrotfish (a fished species) and the striped parrotfish (a non-fished species). While the effects of extracting fish using spearfishing are well-known, there is less information available on its indirect effects. Data were thus collected inside a marine reserve in Roatan, Honduras and in front of a fishing village that chronically spears fish. The authors conclude that spearfishing changes the parrotfish’s behavior: it makes the grazers warier at certain times of the day, and they don’t graze, i.e., eat, as much; and indirectly, spearfishing reduces the grazers’ ecological function towards reefs. Reserves therefore provide double benefit: increasing abundance and size of fish but also allowing them to conduct their ecological function undisturbed by human interference. This study explores the potential of the before-after-control-impact (BACI) type of analysis to evaluate the performance of marine protected areas (MPAs) that are simultaneously affected by management and environmental change. The authors determine that the BACI approach is useful in identifying contrasts between MPAs and control areas, but the tool is imperfect for evaluating MPAs under several impacts. This study analyses whether establishing a system of MPAs can prevent population collapse of the green abalone, a harvested species in the Gulf of California that shows reproductive failure at low densities and is affected by climate change. The study finds that MPA networks dramatically reduce the risk of population collapse after catastrophic mortality events (75-90% mortality) due to hypoxia, demonstrating the value of MPA networks for promoting recovery of imperiled species. Read A.D., McBride C., Spencer T., Anderson P., Smith J., Costa T., Clementz S., Dowd A. (2019). Preventing noncompliance in marine protected areas using a real-time alert system. Ocean & Coastal Management 173(1):123-30. This paper uses a vessel monitoring system to create geo-fences around MPAs boundaries that alert vessels when they are within the protected area. This system has proven to be 100% effective and has averted compliance incidents. Although the system was developed for commercial fishing vessels around Australian marine parks, it could be applied to small-scale fisheries where MPAs boundaries are often unmarked. Eriksson B., Johansson F., Blicharska M. (2019). Socio-economic impacts of marine conservation efforts in three Indonesian fishing communities. Marine Policy 103:59-67. This study examines the compliance and socio-economic status of three small fishing communities in Indonesia after conservation measures were implemented to protect sharks and manta rays, resources previously used by fishers. Since the conservation efforts started, half of residents had experienced economic decline, while 37% expressed economic improvements due to differential access to alternative livelihoods and already-established relationships with conservation authorities. These results indicate the importance of including local communities and socio-economic factors in planning and implementing conservation initiatives. Manejar A.J., Sandoy L.M., Subade R.F. (2019). Linking marine biodiversity conservation and poverty alleviation: A case study in selected rural communities of Sagay Marine Reserve, Negros Occidental. Marine Policy 104:12-8. This paper investigates the weak relationship between conservation and poverty alleviation of coastal communities associated with the Sagay Marine Reserve in the Philippines. In these coastal communities, conservation projects positively influenced perceived poverty alleviation. However, despite conservation measures fishing household incomes remained below poverty and food thresholds. Poverty levels in the fishing community increased as people age and the lack of fishing organizations hindered economic conditions. Fish Forever: A solution to coastal overfishing—delivered by empowering communities through clear rights, strong governance, local leadership, and participatory management—that protects essential fish habitat and regulates fishing activities to replenish and sustain coastal fisheries. Goal: To deliver replicable and scalable community rights-based management across ten countries, using a global network of 500 local leaders to secure livelihoods for one million fishers, alleviate poverty, ensure food supply, and protect coastal ecosystems from chronic threats. Fish Forever Countries: Philippines, Indonesia, Mozambique, Brazil, and the Caribbean Coasts of Mexico, Guatemala, Belize, Honduras, Palau, Federated States of Micronesia, and the Marshall Islands.